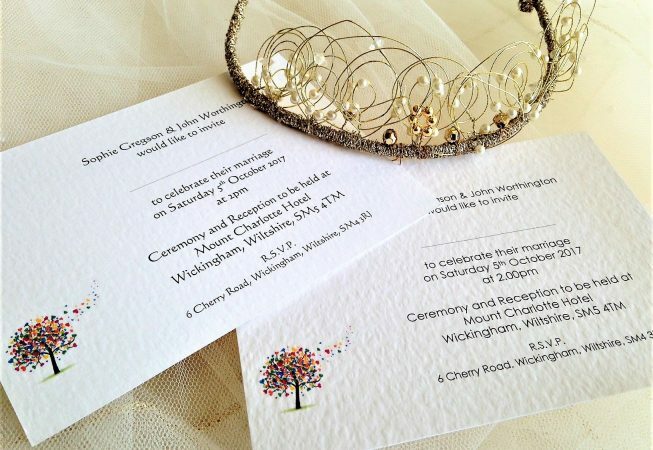 Our Love Tree Postcard Wedding invitations are an elegant personalised wedding invitation supplied on a thick heavy weight (270 gsm) hammered card and available in white or ivory. 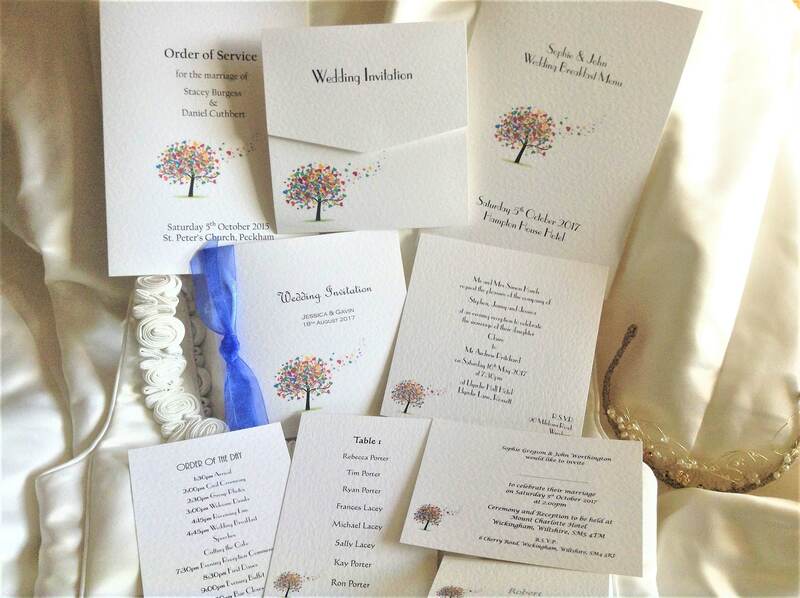 This is the most affordable wedding invitation style in our Love Tree Wedding Stationery Range. 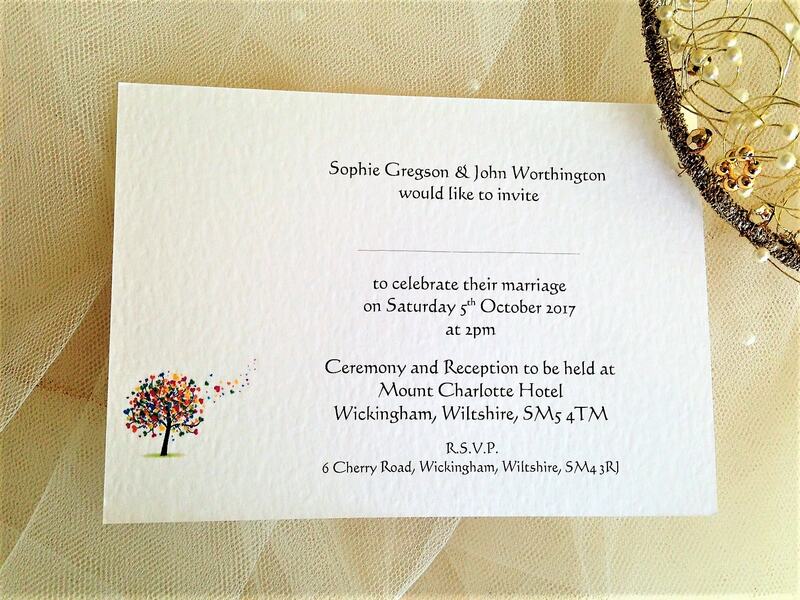 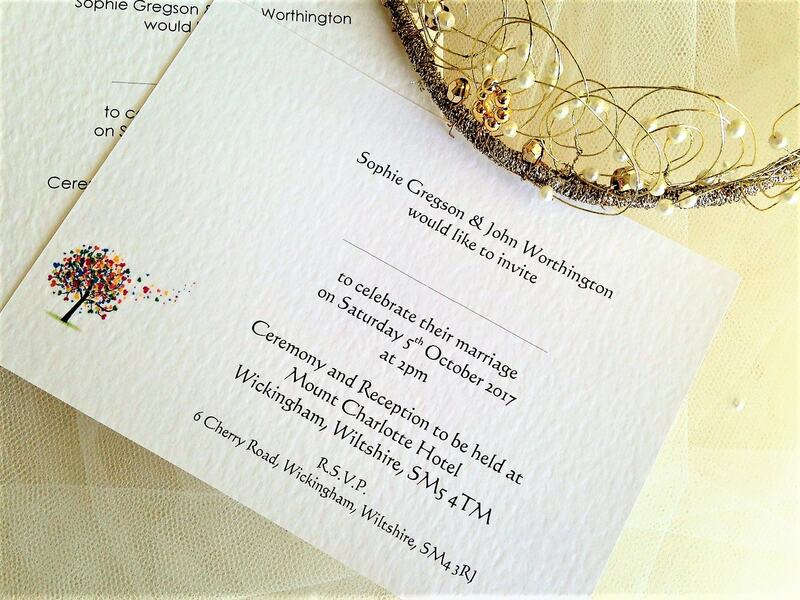 There is a good selection of font styles and we can print your wedding invitations in any colour to match a colour scheme.